I’ve continued my journey on building my personal GTD “system”, not least by actually reading more in the Getting things done book. One thing that caught my eye today, which has been really unclear to me up till now, was how to track projects, or open-loops/inner commitments as the book also calls them. The answer is obvious: just as we keep a TODO-list for every context we regularly put time in (think On Train, In Bed, By Home Computer etc.) we also keep a list of ongoing projects.. Duh. A project is defined quite ingeniously as anything with more than one step. By keeping a list of these goals, we are not worrying the brain of forgetting something we have set up for ourselves to achive. 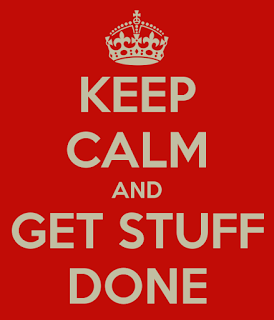 This was what kept me thinking a lot during the week – all I could see was tasks on contextual TODO lists! For (4) I’ve tried Google Keep, Evernote (webapp), Todoist and Trello so far. Google Keep is my favorite for this step so far, as it’s really good for doing TODO lists. I’m giving Trello a chance over the weekend. Todoist felt wrong as it didn’t have labels/tags/multiple lists without going premium. Trello felt slightly overkill for having multiple todo lists, but might be the right tool for some other point, e.g. the Project Meat one, (2). I’m leaning more and more on keeping separate systems for different steps; it makes the borders super clear and improves focus – an important concept from the book.